"Keyhole is awesome for social media managers"
I like that I can track outside web mentions what other people are saying about my company, as well as the ability to find influencers based on who is already talking about our company. It is also great to have one dashboard in which I can follow high rate analytics for all of our social domains, instead of jumping from each individual platform. It was a little different from the free trial. I think that besides the call with customer support if there was a video to help you catch all the little details of Keyhole would be great. Keyhole is great because it lets you discover who is actually talking about your business and engage with customers. "Powerful analytics, more features than other tools"
As an early user of Keyhole, I was very impressed with the features it has that I can't get anywhere else. It is helpful for when I am analyzing volume of branded keywords during promotions and events. I like being able to see which influencers are contributing to the social activity. The pricing has been a limiting factor for us, since we don't always have need of multiple keywords or accounts. A "mini" plan for 1 keyword and 1 account would be helpful so that it can be a quick finger on the pulse of only the most important keyword or hashtag we want to track when we don't have need of more than 1. I would recommend taking the trial first to see if it works for your needs. Mostly we use Keyhole to track activity around Twitter promotions and to see what kind of volume happens around branded hashtags. We also use it to be able to recognize active influencers. The follow of the # it's my favourite for my job. I use this option every day or week for my campain. So it's a very important tool for my company and for my offer. This tool make a real difference in my job and for my client. They are very interested to have metrics about the campaing whit launch together. I don't know if I dislike something but I don't use the follow for influencer. It's to small, only 3. So I need so more, but it's too expensive. I work wich 500 inluencer, micro influenceur, so it's impossible for me to use this option. I find the price is high and excessive. I am a little start up and I don't have a lot of monney to spend each month. So I don't have to have another offer than the level 1. I hope to buy another lever very soon because it's very important for me to have more metrcis for my clients. Price less high may be a good idea for company. Maybe propose an offer without the follow of influencer but with facebook and youtube. I have the reach of my campaing of influence for twitter and instagram. In few monthes, when I have more money I will buy the option with facebook and youtube, because it's very expensive for my too little french company. In my domain a lot of agency doesn't have metric to identify why the campain is a success or not. It's possible to identify with conret KPI the result. Keyhole allows our company to give deeper and richer analytic reports for Social Media Campaigns to our clients. This allows us to be one step ahead of the competition when bidding for Social Media Campaigns against larger international agencies that use other software that is more expensive but doesn't give the same level details. If you don't remember to put your trackers in place at the beginging of your campaign then it can be a little challenging to get the analytic data prior to them beginging added. We would recommended that you at least evaluate the Keyhole solution as we believe you will be surprised on the functionality and capabilities of its reporting you get compared to other solutions that cost a lot more and don't necessary give you everything. I am using Keyhole to assist with reporting deep analytics for Social Media Campaigns back to my clients. "Great tool for hashtag tracking"
I like how easy it is to use Keyhole. I also really like how easy it is to understand the hashtag engagement reports. It really made that part of the reporting process really seamless. I didn't like the limitations on the number of hashtags you can use even when you pay the monthly fee. This makes it tough to use it for multiple, ongoing projects. It's most effective for very specific hashtags that are widely used. It's not ideal for broad keyword tracking. We used Keyhole to track hashtag engagement for clients. Without Keyhole, it would have been really tough to track the hashtag because it is widely used during the event. In addition to helping us track the hashtags more effectively, Keyhole also made it easier to report out on the findings. "Excellent platform to track conversations and activate social selling"
Is very simple to use and to gather data from the competition. It also helps a lot to understand what people talks about our clients brands. I'll work a little bit more in the user interfase to make it more friendly but works like it is. Is worth trying and playing with the platform. It will give you a great understanding on what problems can solve for your organization. Helps a lot to convince clients that they have to move to premium options of data collection to have track of their brands and the competition. "Real numbers for our clients!" Quantifiable reach. Actual numbers of eyeballs. Transparency. The product is expensive and support has diminished. Be sure you get the support you need initially. As a magazine publisher for the past 20 years we have never truly been able to quantify the actual audience that see our clients products as presented in the print magazine. We can now track actual numbers of users who see our clients products as we present them through our influence program. The software was easy to use and provided good detail for an influencer campaign that we were running for a client. We were able to see how often specific keywords were used on a national level and it was easy to show the client ROI for our efforts with the data available. The reports and metrics are clean which makes it easy to develop nice reporting for clients. I put a lot of weight on a good UI for SaaS products and Keyhole made it easy to use and understand their software without needing to read a lot of tutorial/training documents. If you have a basic knowledge of social media, you can get in and learn the software pretty quickly. I would definitely use the software again for client projects. We work with small to medium sized businesses and the cost to benefit ratio made it difficult to justify using keyhole for our clients on an ongoing basis. It's definitely a tool we keep in our toolbox for clients but not something we use on an ongoing basis. We had an influencer campaign where we needed to track excitement around very specific keywords. This was the perfect tool to do it. "A GREAT tool for all social media people out there." I love using Keyhole. It makes my campaigns easy to track, stay on top on engagement and give me real time numbers to show my boss! I like that it's easy to use - so when you're working hard on a project and already have a lot of things to balance, learning to navigate a complicated system is not one of them with Keyhole! It's a bit pricey, but I think totally worth it! Give it a shot! I think working with it for a short-term project to better understand what to expect, what to do etc. Then you can look at your results and decide if it's something you want to integrate into your daily use. Hashtag tracking, engagement tracking, top users etc. Able to better prove value, and therefore be better at accurately charing clients for my time and services. This is huge for me! It's very hard working in social media to properly show your value and find a way to charge for your services. Keyhole has allowed me to really put data behind my words. "Great resource for hashtag tracking"
Keyhole is a great solution for hashtag tracking on Twitter and Instagram. Limited ability to back-check historic usage data before a tracker is implemented. Consider using Keyhole in the context of a larger analytics tools mix; it's great for what it does but is most effective when complemented by other tools. Keyhole gives a pretty good share of voice snapshot around specific hashtag usage, and breaking down usage by geography, gender, etc is helpful too. "Good addition to your toolbox "
Keyhole provides good value at a reasonable price. Historical data feature is rather pricey. I've mostly used Keyhole for hashtag and mention tracking. I like that it alerts me of any unusual activity, so that we can act on it fast. It's also great that I can search for Instagram and Twitter mentions that generated the highest levels of engagement, not just based on the number of followers. "An essential tool for hashtag and keyword tracking/reporting"
I've tried dozens of tools that track keywords and hashtags across various networks and Keyhole is the most user-friendly and thorough tracker we've used. I also love that Keyhole allows you to choose monthly commitments. This works especially well for tracking campaigns and events. The monthly levels could be more customizable (I often need more keywords, but fewer mentions, for instance). We use Keyhole to track impressions, reach, engagement, influencers and volume around hashtag and keyword campaigns. The reports as well as the CSV data Keyhole provides makes it incredibly simple to build quick and beautiful metrics for our clients. "Pretty good, but some real issues"
It definitely did help me find and track interesting info via hashtags. Was fairly helpful in IDing influencers and content opportunities. I felt like it broke A LOT. Sometimes info would not be pulled, the reports would be screwed up, etc. When I requested help, I was made to feel like I was the one making mistakes when I was a pretty savvy user (imo). If you need an inexpensive tool to do basic social monitoring, Keyhole can fit the bill. Small-scale social listening. it helped when we were just doing smaller projects for specific clients. "Keyhole is simply the best for social reporting "
I've used Keyhole for international social campaigns and the reporting has been incredibly valuable for our internal team and also to show potential clients our growth rate and success. The only downside to Keyhole is the price. It's absolutely reasonable but I usually can't get my clients to fork it over throughout the year so we only use it on an event basis. It's incredibly useful to see our most valuable followers, how our message carries across the globe during events, and messaging resonated most with our fans. I like that I can trend hashtags in realtime to know which to use when I post. i Like how frequently it is updated and it has been an extremely helpful tool for me. I like that there is a free trial as well (although the price is expensive once that trial is over). I don't like that there is only a free trial period and then you have to pay $149/month, which I feel is expensive, because there are apps out there that allow this service (not as good) but for free. I also wish there was a corresponding app that was easy to use on a mobile platform, which would be helpful as I am frequently not at my desk when needing to use their service. (I'm often hashtagging from the subway, car, and at home). I think the free trial period is a good indicator of whether or not this product is worthwhile for you. Reaching the widest audience on a platform that does not keep posts current for very long. It also helps to keep up with trending topics without having to be tapped into a news outlet. I like how the sales people were able to cater to the needs of my little agency and budget. I also love the level service they provided me with. It was a breeze choosing keyhole as a vendor and it was easy to navigate the platform. Probably how impressions equals to reach which is not right. But that's the only thing, really. Many platforms dont provide the hashtag tracking like keyhole does. "Love this for tracking hashtags!" The reports are easy to read and impressive to share with clients. It's expensive. Yes, it is worth the cost, but sometimes I have less to track and I feel for months like that, the cost is hard to justify. Give it a try to see how it works and you will love how easy it is to see the social reach. For me, working with online influencers, Keyhole shows the value for brands to utilize their reach. I use Keyhole only for the hashtag tracking. You'd probably find more value if you accessed all tools, but I prefer other software for the additional features. I wish they offered a more scaled down version, at a different price point, because I'm only interested in their keyword tracking tool. It helps us report to our executives and board how engaged our audience is, and at what level we are promoting both our influencer and corporate partnership program. "Keyhole helped with the success of my online contest for my business"
Keyhole is user-friendly and whenever I was stuck or had a question, the chat feature allowed me to connect with a staff member to help me out. Tracking Facebook hashtags was a little bit more difficult, but this is not really Keyhole's problem, it had more to do with Facebook's algorithm and privacy settings. It gave me a better sense of how I would conduct my next online contest. 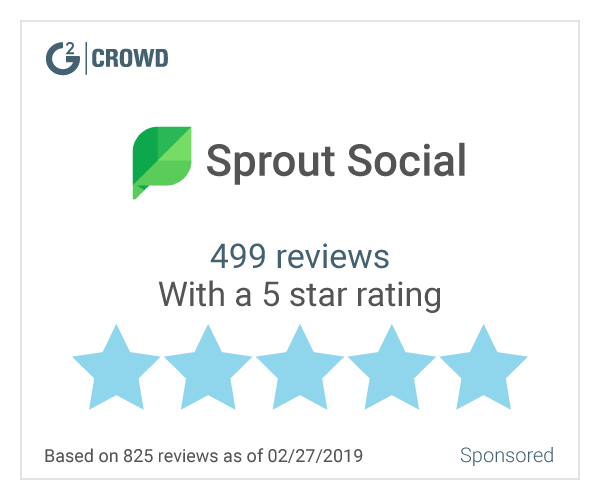 I began using Keyhole because I needed some additional reporting that I couldn't quite get from Sprout Social without upgrading. The more premium Sprout memberships were not in my budget and a client was requesting things from me (analytically and visually). It was more cost effective for me to use Keyhole at a lower level than purchase the top Sprout membership just for one client. I don't have any complaints per say. It is just not something that is all encompassing. I would still need to use another service. Definitely check out their options for influencer tracking. Clients love these buzzwords: impressions & hashtags. Keyhole delivers both and makes it look stellar. I will definitely use in the future if a client requires this type of info. "Great for tracking social engagement during our event"
A lot of information available. Listening updates in real time. More functionality than we needed. It can take a little bit to grasp the depth of the tool. Once you've figured it out, however, that barrier fades. It allowed us to track the engagement of our annual user conference: how many times specifics hashtags were used, which countries were engaging with content, and more. "Great hashtag tracking and analytics tool"
We wanted to be able to benchmark and report on the reach of our campaign hashtags. We looked at quite a few options in the market for doing this and Keyhole is the best in terms of what we needed. "Great for measuring campaign impact"
I like the overall simplicity of the GUI and how easy it is to find the information that you need. Also, optimization techniques are very easy to find and implement into your campaign. Some of the functions, such as differentiating source media (gifs, external links, video) can be somewhat buggy. Also getting back data can be costly at times. We are trying to measure the impact of Influencers to see if our campaign had a proper ROI. Not just influencers but also devices like hashtag and printers or so on. "We used keyhole to track hashtag mentions for a marketing campaign"
I liked the simplicity of creating a dashboard in order to track how many times our campaign hashtag was used. Since we used a very basic trial version, we were not able to export a lot of data that we needed so we had to resort to pulling it manually. Definitely take advantage of the free trial first to see if it fits your needs as a business. Keyhole was a great way for us to monitor hashtags and live conversations as we launched our Live Q&A panel for an automotive company. "One of the best social listening tools I dealt with"
Keyhole is one of the best social listening tools I used and it comes with a great price tag. The user-interface is also very friendly and easy to use. Not being able to pull backdated data using the same plan I had. Assessing the community feedback and sentiment for brands I work with. The fact that you have to pay extra to get data prior to two weeks which doesn't allow us to track previous campaigns unfortunately. Bare in mind the 2 week history period for retrieving data on hashtags. You will need to make a purchase of data for anything prior to two weeks from current date. "Very happy with Keyhole for measuring engagement and growth. " I appreciate Keyhole's ability to measure engagement for our IG, Twitter, and FB accounts as well as get a quick glance at our follower growth. I wish there were more options for measuring instagram story engagement. It's been helpful to compare our follower engagement with our sales. The search functionality is very limited. Boolean searches are ineffective and in some cases do not work, requiring multiple parallel trackers which cannot be combined. Some social media platforms cannot adequately be searched. For team's that want do basic reporting and measurement, Keyhole was an easy product to use. I use it for my consulting research for clients for research. I also used it at my nonprofit to track influencers, trending topics and brand keywords. This is just an analytics product. Now i need something that has community management, customer service tools etc. I am tracking trending topics and the influencers leading those conversations so that my clients can find opportunities to join in. "Social media account manager and supervisor"
Keyword metrics being able to get stats on various keywords from a number of campaigns. The amount of keyword tracking I am allow to with my corporate subscription. "Keyhole helped us recognize our audience and reach"
We are able to see the reach of our keywords through out the whole internet. Pricing model. We are able to add only three vaults and each time i need to swap i lose data for the previous one. Go for it if you are struggling with find the right, simple and easy to use social media monitoring and analytics tool. We needed to find out the reach of our key projects and their recognition within the audience. Being able to track URLs, hashtags, keywords, Twitter and Instagram. Using data to create graphs and charts are useful for media presentations and meetings where social media is discussed. Cannot rely solely on their data and charts. Best used as one of the tools to support your analytics information. Quite pricey after trial period. Real-time Analytics are where this product shines. Keyhole’s dashboard comes with data you can use to optimize and report on your hashtag campaigns. Find out the total number of posts, the engagement rate and the total impressions the hashtag has generated. Accurately measuring historical social media data, illustrating metrics in graphs and layouts. Simplify reporting and strategizing. It's lightweight and easy to use, great for tracking twitter hashtags and owned accounts. Campaign tracking and understanding what influencers are most engaging for a hashtag. Also great to take a look a analytics around a specific social account especially for best posting times. Functionality. It was a really intuitive experience. I did not like having to pay for all the special features. Do your research and understand this is a great product. Data analytics are a primary business function and keyhole is elite at their craft. There are so many other competitors that it can be hard to choose one, so make sure you evaluate the alternatives and make an informed decision. "It's ok, would be great to get actual numbers not just estimate "
That I have something to point my supervisors to.
" A complete and easy toll"
graphics, how results are collected and exposed, most influential users and posts. "Super powerful and effective social media tracking"
Keyhole has a simple to use interface and offers all the analytics you need to keep track of multiple social media campaigns at the same time. You can also search hashtags/search terms that aren't part of your campaigns. Expensive, but hey, if you're serious about social media analytics then you get what you pay for. Marketing presentations, analytics, social media contests. "Keyhole is an amazing product that fits a very specific need"
The inability to include hashtags within public Facebook content, but the robust Instagram dataset is well worth the trade-off. You will fall in love with this product, so be prepared to upgrade early on, so budget accordingly. Tracking hashtag performance for Instagram campaigns to gain insights on impressions, reach, top influencers, geolocation, current participants, and user platform. "Track your hashtags and mentions!" At the moment, Keyhole is one of the best tools for tracking your mentions and hashtags! The influencer tracking is also a great feature. The pricing could be a barrier to entry for some, depending on how many hashtags, keywords, etc. you might need to track. Effectively tracking and reporting on usage of hashtags and mentions! We realized the benefit of the influencer tracking! The cost is very high, and I don't like the fact that you have to get historical data for a separate charge. I also wish they had the ability to measure facebook. Event social marketing amplification and impression delivery. "Used it to track our hashtags for events"
easy to use, good reporting for my event analytics. A tad pricy. I would use it more often if there was a middle of the road option. give it a try for free, but the paid analytics are worth checking out if you're serious. "Hashtag Tracker for Multiple Platforms"
I like that it covers Fb, Twitter & Instagram. No more flipping between tabs and using multiple tools. Downloadable reports are vital. I also like love the Top Sources report. Pricing is a bit steep starting at over $100 p/m for the lowest package. 30 days avail but have to pay extra for 60 days worth of data? Great as an add on, still not comfortable using it as our only tracker. One dashboard & one tool that can be shared within the office. The way of displaying analytics is easy and lovely, the analytics are great. Arabic language is not supported very well, They should improve it. We have had a lot of success using Keyhole analyzing Twitter performance. In particular, hashtag analysis is fantastic. I wish the platform was more powerful for other platforms (Facebook, Instagram, etc.) However, I understand the limitations with those Apis. Better hashtag analysis and campaigning performance reporting. The analytics are easy to read and interpret, the service and support is what made the difference. I want to learn more about the time line. You can not ask for more than empathic support and accurate analytics. Ayhan showed me the data populating. Impressed. "Keyhole is useful for influencer marketing monitoring campaigns?" Presentation of data and display of reports are good. The meaning of the metrics should be clearer. Pop-ups should be placed on the page with metric descriptions (Semrush style). I was able to measure the impact of influencers on a digital campaign. "It's easy and gives you the metrics to wow stakeholders!" The set up was easy and the weekly reports were a great reminder. The price is a bit high for the features you get. Measurement and reporting to stakeholder was so much easier with this tool. * We monitor all Keyhole reviews to prevent fraudulent reviews and keep review quality high. We do not post reviews by company employees or direct competitors. Validated reviews require the user to submit a screenshot of the product containing their user ID, in order to verify a user is an actual user of the product. Hi there! 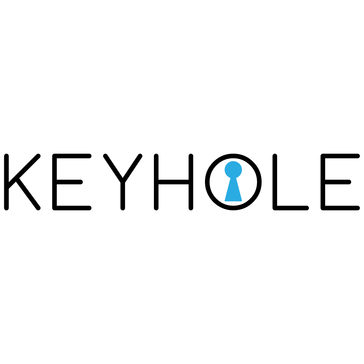 Are you looking to implement a solution like Keyhole?